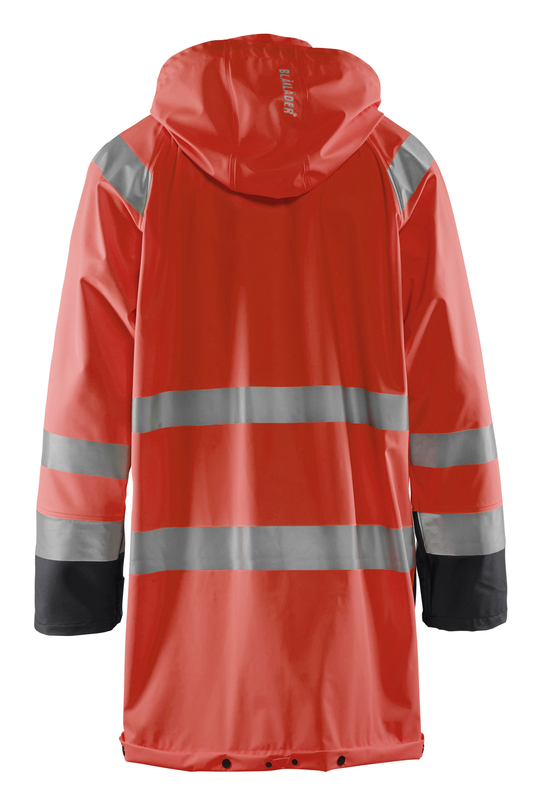 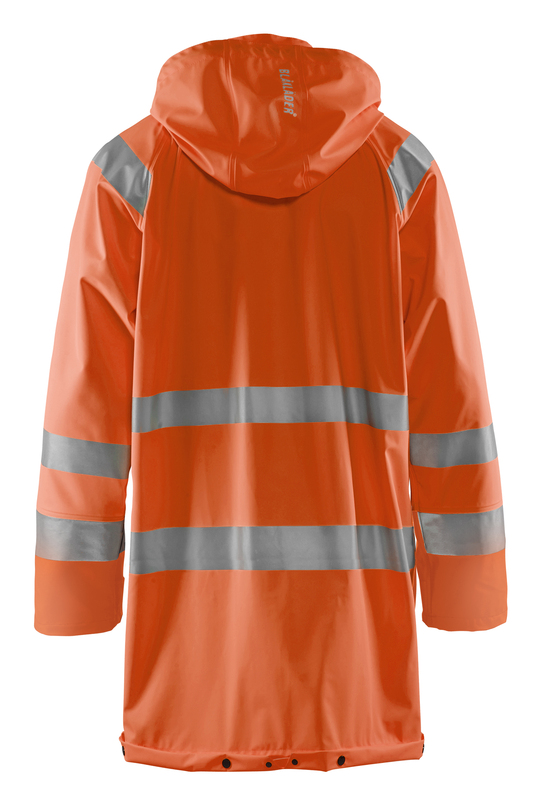 Rain jacket in high vis for you with work assignments that require a light and smooth rainwear. 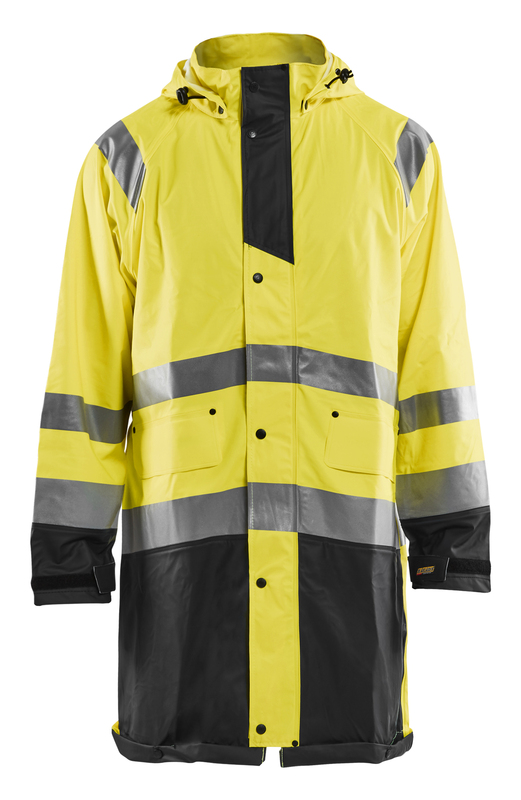 It is wind and waterproof and has welded seams as well as removable adjustable cap. The jacket has a hidden two-way zipper up to the collar and storm button. 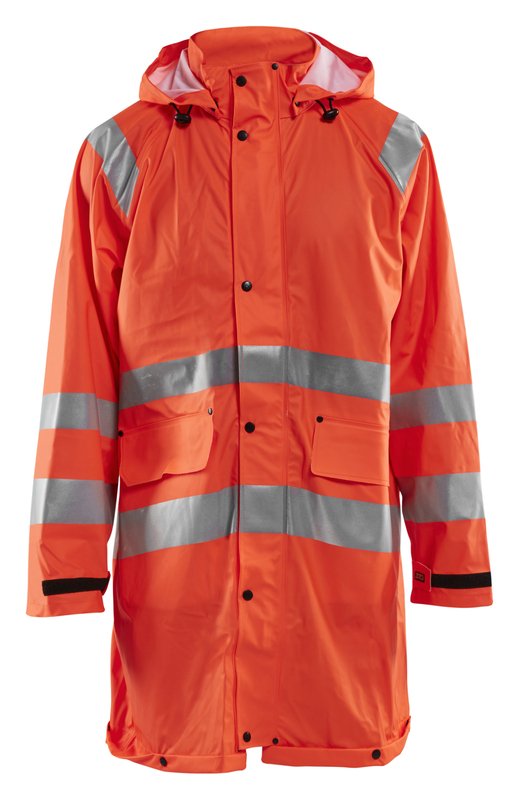 Good fit with adjustable sleeve closure with velcro. 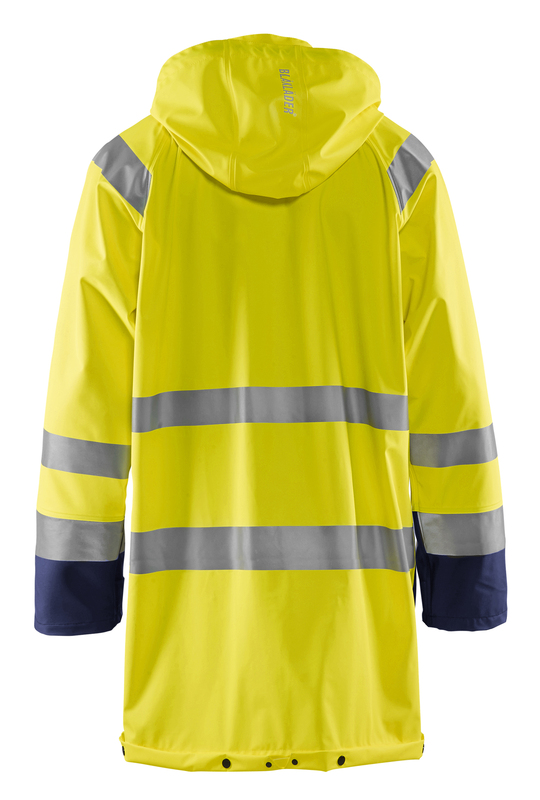 Easy-access pockets with cover and unsnappable drop-neck at the bottom with drainage at the back. 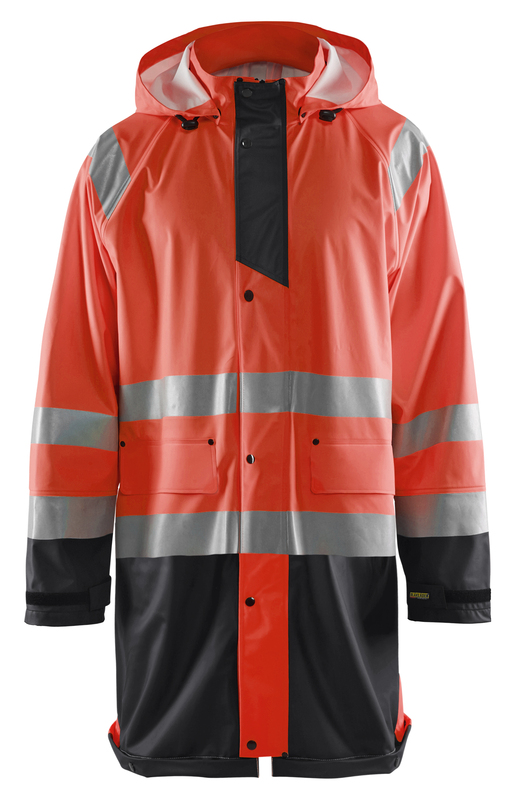 Certified according to EN 343, Class 3.1, Protective Clothes against bad weather and EN 471 / EN ISO 20471, Class 3, Protective clothing with high visibility. Colour 5300 has been updated. 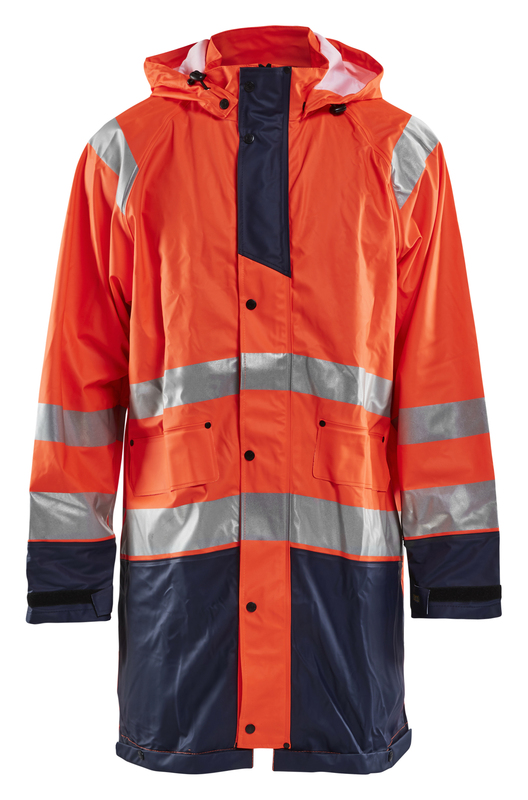 Older items are delivered as long as the stock is sufficient.